Microsoft's new operating system still lags behind Windows XP. 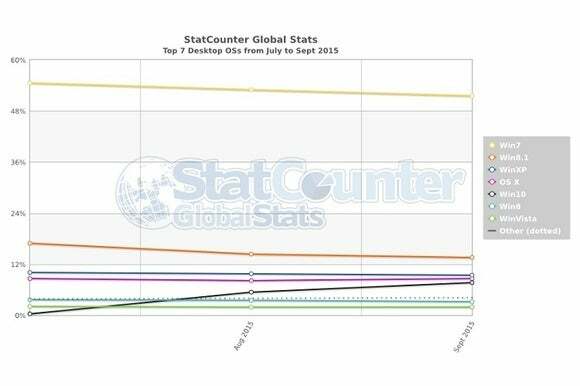 Windows 10 uptake is falling back to earth after an explosive first month. 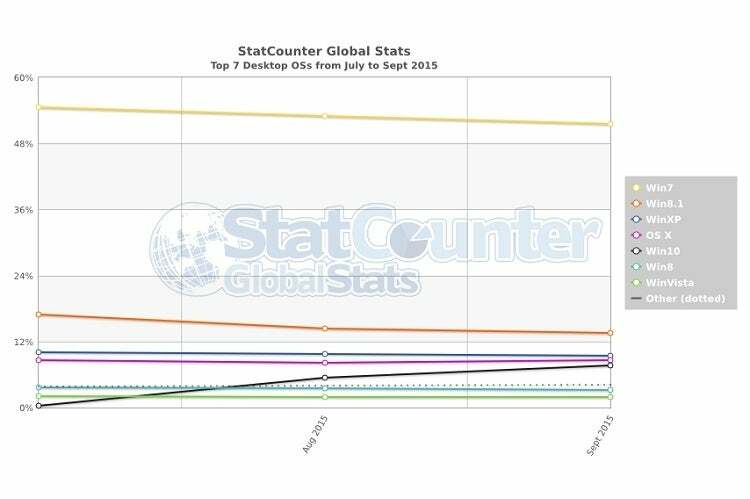 According to StatCounter, Windows 10 accounted for 7.64 percent of desktop Internet usage in September, compared to 5.38 percent the month prior. 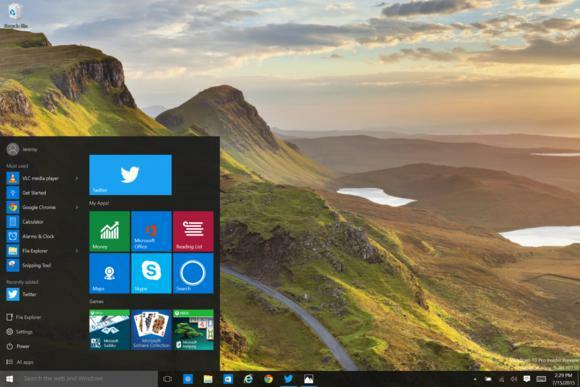 Rival metrics firm NetApplications pegs Windows 10 usage at 6.63 percent, compared to 5.21 percent in August. Three months of desktop operating system usage from StatCounter. 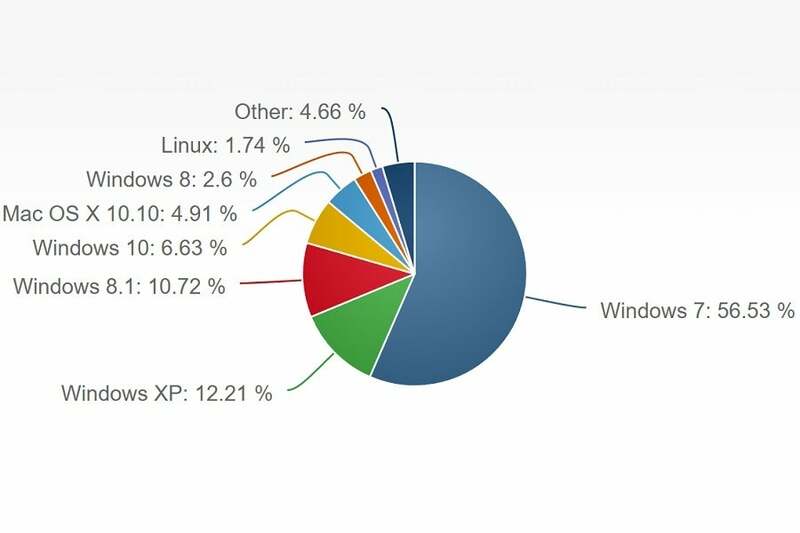 September's desktop operating system usage from NetApplications. Windows 10 got off to a strong start in large part because Microsoft is giving away upgrades to consumers running Windows 7 and higher. The company boasted of 75 million installs for Windows 10 in its first four weeks, while StatCounter observed faster first month adoption than both Windows 7 and Windows 8 during their debuts. But as we get farther from launch, those numbers seem likely to fall as early adopters get their upgrades out of the way. The challenge now is for Microsoft to get other users on board without pushing too aggressively and scaring people away. Why this matters: If August’s usage data was a sign that Microsoft’s free upgrade plan was working, September’s data is the inevitable reality check. Microsoft is still dealing with a huge base of aging PCs and deeply-entrenched usage patterns, not to mention enterprise users that must still pay to upgrade. Making upgrades free for consumers removes just one barrier among several, and turning Windows 10 into the predominant version is going to be a long slog.